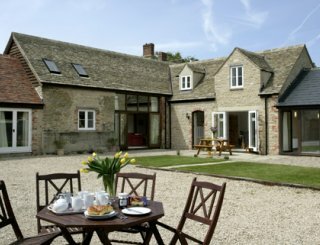 Andersey Farm Barns, Wantage, Oxfordshire, sleeps 6-22 in 11 bedrooms. 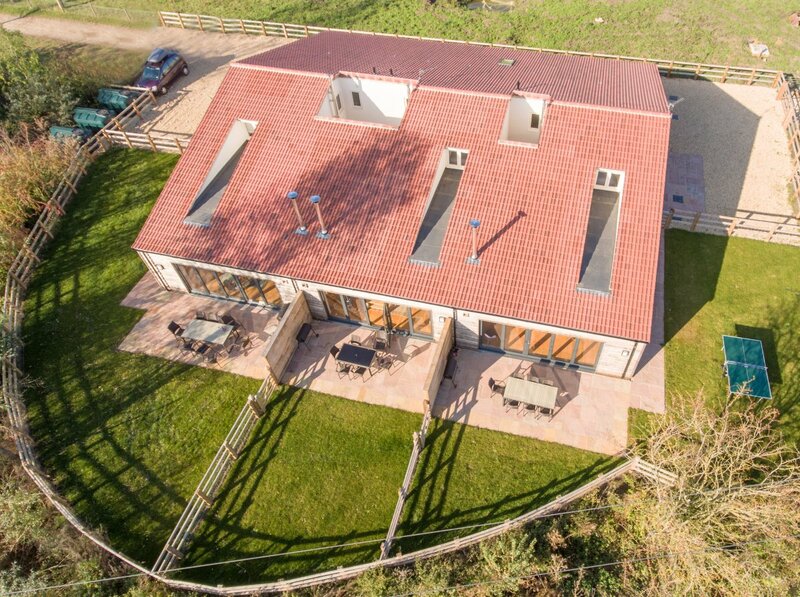 Andersey has been transformed into 3 separate but adjoining properties with vaulted ceilings and oak flooring throughout. Open plan living provides fantastic opportunities for groups to hang out in contemporary spaces with bifold doors bringing the outside in and revealing lovely views. 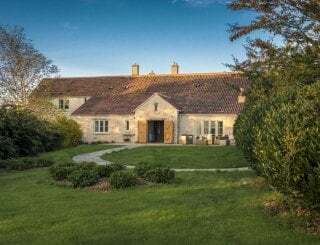 There is a dining facility for all 22 guests in Orchard Barn and owner Jan can arrange for outside caterers to come in and prepare a special meal if required. 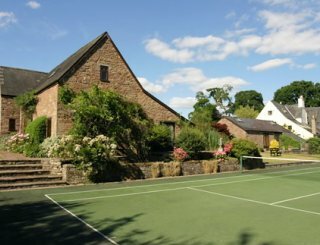 Each property has its own outside area and also boasts an atrium off one of the bedrooms and the kitchen area for maximum light and airiness. 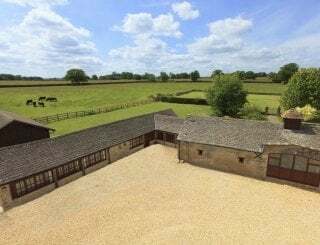 Underfloor heating and a log burning stove add to the ambience and comfort of the barns, making this working farm a great destination at any time of the year. Kitchens are well equipped with modern conveniences including dishwashers. Each of the 3 properties has its own utility space with a washing machine and tumble drier. 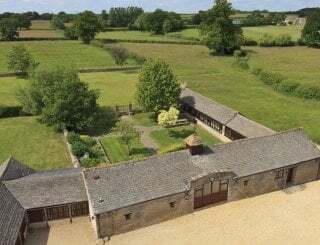 Lounge areas are very comfortable in each of the barns with plentiful seating for all guests to watch a film or simply sit and chat by the fire, sipping a glass of something nice. Separate spaces in each building mean that there is further choice and privacy for groups. 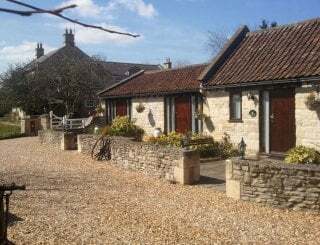 Sleeping accommodation provides an ideal mix of twins, doubles and king size for group bookings. 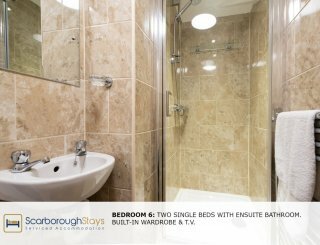 All have the added bonus of either en suite shower rooms or full bathrooms with high spec fixtures and fittings for maximum luxury. 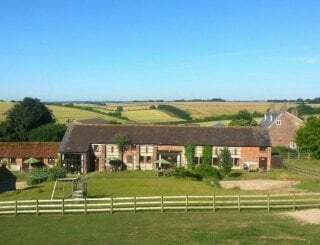 Andersey Farm is located in an area of outstanding natural beauty on the edge of the Lockinge Estate. 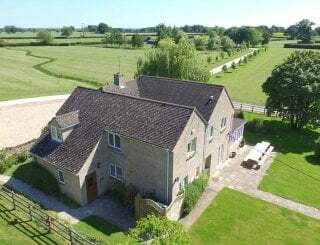 The Farm has footpath links to the Ridgeway Trail so offers guests the chance to walk part of the 87 mile route, apparently used by prehistoric travelers. Also within easy reach is Blenheim Palace, Cotswold Wild Life Park, Didcot Railway, Crocodiles of the World, the Living Rain Forest, Fairy Tale Farm and Bicester shopping village - there really is something for all ages. 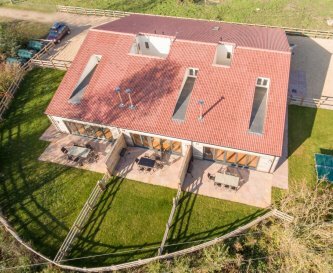 Further afield are Lego Land and Windsor, within an hour of Andersey Farm, absolutely perfect for multi generational gatherings. 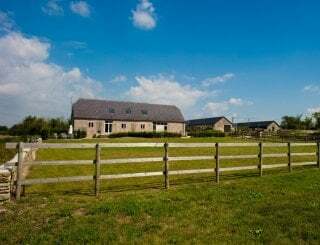 Each barn boasts a Neff electric oven and hob, fridge/freezer, dishwasher and microwave. Utility rooms with washing machine and tumble drier. There is dining for 22 in Orchard Barn or smaller spaces in the other properties. Lounges with comfortable seating for guests to relax and watch TV or sit by the log burning stove. TV and DVD available in each lounge. WiFi is available throughout the properties. Underfloor heating throughout and log burning stoves in each lounge. First basket of logs provided free. Orchard - 2 kings, 1 double and 1 twin. Meadow - 2 kings, 1 double and 1 twin. Fold - 2 kings and 1 twin. 1 king can be zip and link in each. All bed linen and towels is included in the cost. Orchard - 3 en suite shower rooms, 1 bathroom. Meadow - 3 en suite shower rooms, 1 bathroom. Fold - 2 en suite shower rooms, 1 en suite bathroom. Orchard and Meadow have a ramp leading up to front door. They are wheelchair accessible with a downstairs twin bedroom and wet room facility. Each barn has its own seating area and is part of a larger enclosed garden. There are barbecue facilities. Off road parking for 2 cars in each barn. More space available if necessary. Overflow parking next to Orchard Barn. No smoking inside the barns please. No pets are allowed in any of the barns but there is a pet hotel on site. 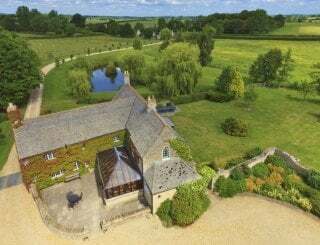 The Farm is 6 mins away from Wantage and Oxford 26 mins. Within easy reach of the A34 main road, which leads to the south coast and links with the M4 and M40 to London and its airports. The historic market town of Wantage, birth place of King Alfred, is 6 minutes from the barns. Waitrose, Tesco and Sainsbury's can all be found in Wantage. Tea and cakes are available at The Grocer Chef in Ardington Village. There is a small play area at local pub, The Boar’s Head, which offers excellent food. All across Andersey Farm big field on foot. Full week changeover day is Friday, part week days are Friday or Monday. The accommodation is available from 4pm on day of arrival and should be vacated by 10am on departure. Please note that a deposit of 30% is payable at the time of booking and in full 8 weeks before holiday. Didcot Parkway is 20 minutes away. Buses available to Oxford and Abingdon. 1 mile walk. Heathrow is 42 miles from the barns.